The song took on a new personal meaning for the singer-songwriter when heavy rainfall and flooding in Calgary forced the organizers of the city’s Sled Island Festival to cancel shows for over 270 artists still scheduled to play, a headliner of which was Plaskett’s band. Plaskett’s TURF performance was introduced as “the show that never happened, and then did happen.” The show the Emergency delivered was one Plaskett personally illustrated with all the emotions one can imagine experiencing over the course of such a narrative – all under a blue sky the band never got at Sled Island. 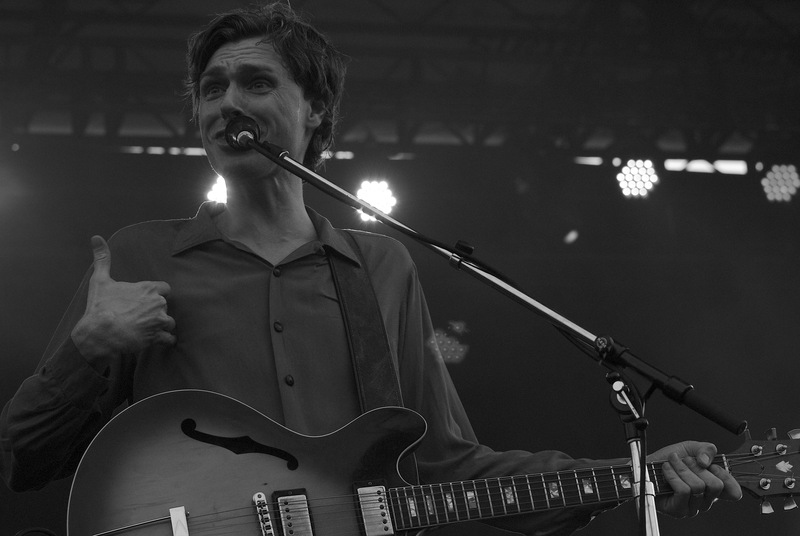 This entry was posted in Burden of Salt and tagged "Natural Disaster", Fort York, Joel Plaskett, Joel Plaskett Emergency, Sled Island, Sled Island Festival, Toronto, Toronto Urban Roots Fest, TURF on July 5, 2013 by Tom Beedham.